1. Links placed too closely together to be easily clicked on mobile devices. This error has been among the most-often seen problem in tests Didit has run in various industry sectors. 2. Mobile viewports not being set correctly. This error can cause the site to render in less than 100 percent of the mobile display space available. Sites that render beautifully on desktop displays are “crunched” into a small part of the screen. 3. Text set too small to read on mobile devices. Instead of being clearly readable on mobile devices, users must “pinch and expand” to read anything on the site. 4. Blocking of resources necessary for Google’s robots to correctly parse the resources referenced by the web page. While this error is less common than the aforementioned problems, blocked resource issues have been seen in a small but significant share of tested sites. The good news is that many of these errors are easy to fix. 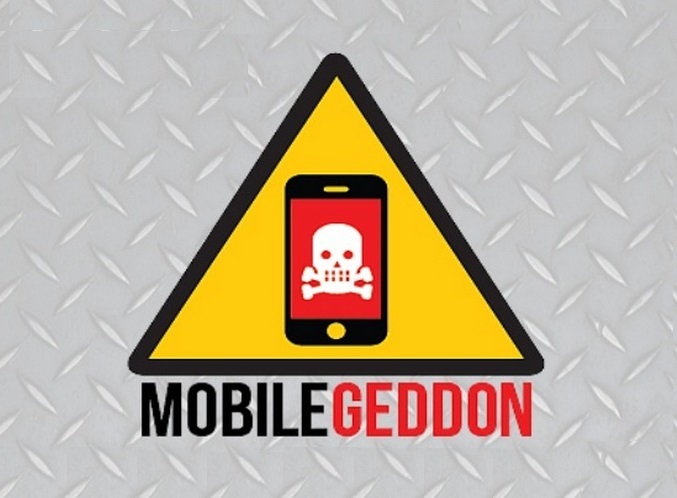 To give webmasters a quick overview of the diagnosis and repair process, here’s a new Slideshare presentation: Didit’s Mobilegeddon Survival Checklist. Didit's Mobilegeddon Survival Checklist is designed to set webmaseters on a path towards avoiding the abyss of invisibility facing the world's websites on 4/21/15.